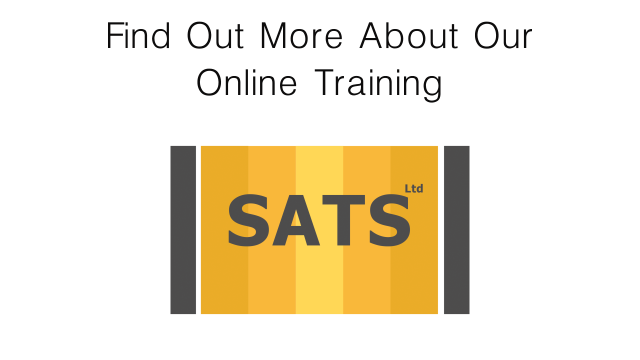 Is online training a suitable option for you? Our courses are designed to be interesting and delivered just like one-to-one training without the downtime, cost, easy to organise and deliver. A good way to introduce a topic and a great way to refresh knowledge. Our one-on-one tutor led interactive online training can be experienced at the pace required by each individual. It provides an opportunity to go over the learning content as often as required so every learner receives the most effective learning experience to retain and apply the knowledge to keep people safe, your business compliant and meet the standards required in the UK. At a fraction of the cost and fraction of management time than you'd expect, this health and safety training has the added bonus of a minimal loss of productivity because it's really efficient and flexible. The courses are for those who plan, manage, supervise and carry out works in and around buildings. Asbestos is arguably the most hazardous building material ever used. Every year over 4000 thousand people in the UK due as a result of exposure to asbestos, it was widely used by the construction industry right up until the year 2000 when it was banned. The Control of Asbestos Regulations 2012 apply to employers, employees, self employed persons and duty holders (those in charge of buildings) and cover all work with asbestos containing materials. Regulation 10 of CAR states that everyone who may come into contact with asbestos must recieve information, instruction and training with refreshers given. This includes maintenance workers and others such as users of buildings who may come into contact with or disturb asbestos. Those who plan works and design alterations in buildings such as; refurbishments, extensions, remodelling or any significant changes must know about how asbestos may affect the work and then share this information with everyone involved. Our courses will greatly enhance your knowledge and help you to protect everyone's health! Current legislation called "The Regulatory Reform (Fire Safety) Order 2005", applies to all workplaces regardless of the number of employees and requires employers to provide suitable training in fire awareness for all members of their work team so that they can act safely and quickly in an emergency. Our online fire safety training courses are aimed at Managers, Supervisors and workers to assist them in identifying and reducing the risk to life and property resulting from fire in the workplace. This training option is a cost effective way for everyone to fulfil their legal obligation to gain the necessary understanding of fires, prevention and awareness of the risks. Manual handling, or to be more accurate, incorrect manual handling, is one of the most common causes of injury at work leading to many ill health problems as well as a huge number of lost work days. To control manual handling injuries, the Manual Handling Operations Regulations were introduced in 1992. The Regulations set out duties for both employees and employers which includes self-employed people. People who handle items at work must be trained to do so correctly, including the selection and use of available equipment provided to handle loads safely. This online course enables everyone to understand what they must do.